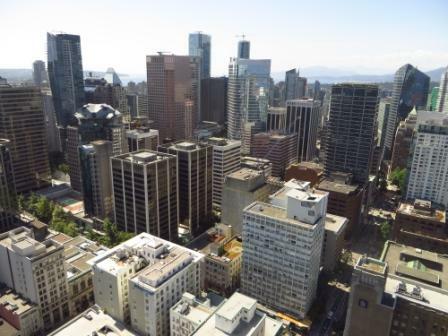 Late this afternoon, I went to the Vancouver Lookout. Admission was about $17 ... but that gets you an all-day pass so you can go up as many times are you want that day. 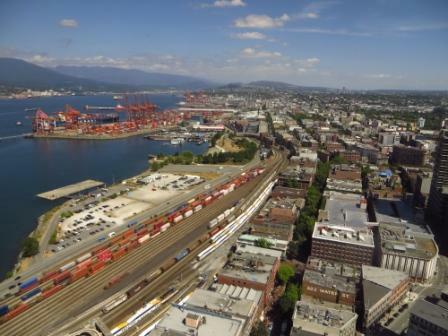 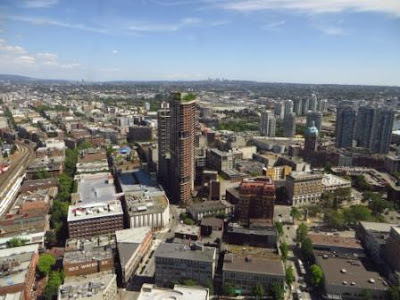 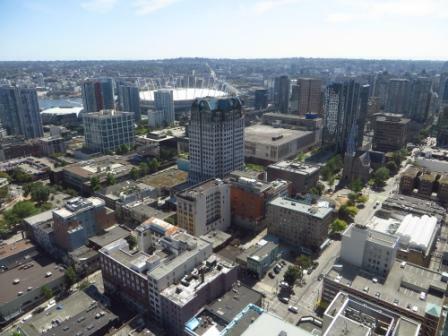 Where else can you enjoy a 360º aerial view of Vancouver, "the most beautiful city in the world”? 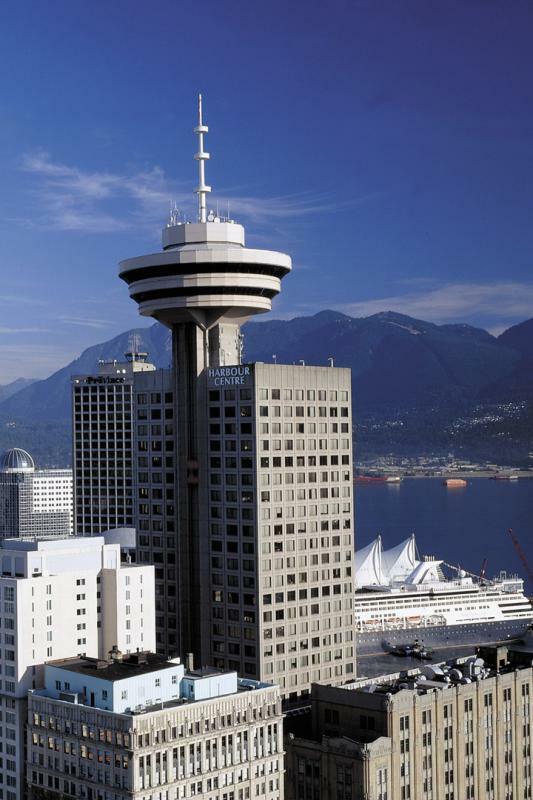 Your adventure starts with a 40 second glass elevator ride, whisking you 553.16 ft (168.60 m) skyward to our panoramic observation deck. 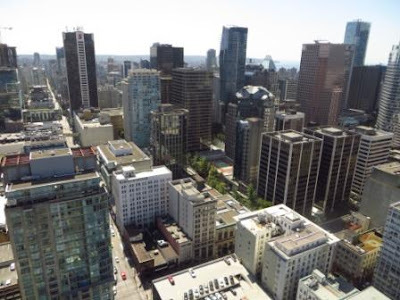 Enjoy intimate views of cosmopolitan Vancouver, historic Gastown and bustling Coal Harbour. Look beyond for enchanting views of our stunning natural landscape including world famous Stanley Park, the Pacific Ocean, the majestic North Shore Mountains and the Olympic Peninsula Mountains. 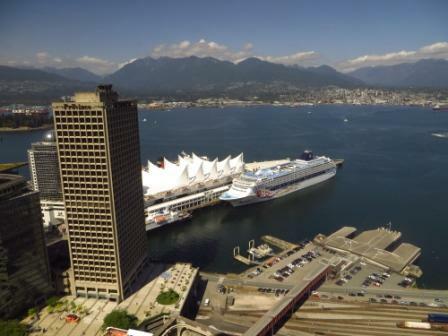 Our iconic Vancouver attraction tops the Harbour Centre complex, a recognizable landmark in the heart of downtown. One of the tallest buildings in Vancouver, the complex is home to 28 floors of offices, the downtown campus of Simon Fraser University, shops, a food fair and the Top of Vancouver Revolving Restaurant. I walked counterclock-wise around the enclosed viewing deck. 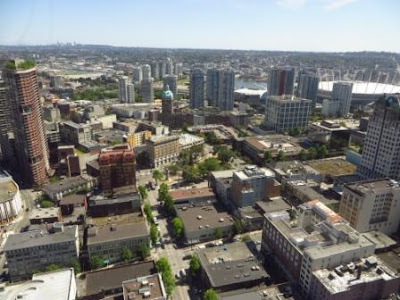 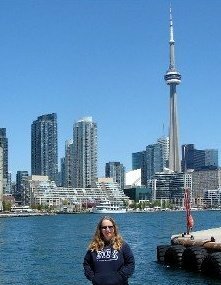 The views were great and there is lots of information about what you are looking at posted, along with historical info about Vancouver and BC. 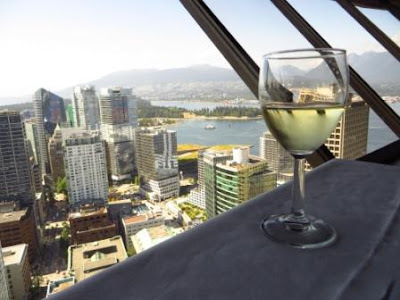 Then I went upstairs a floor to the Top of Vancouver Revolving Restaurant and had a glass of wine and enjoyed the view. 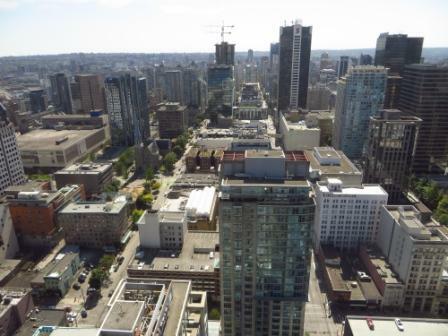 It goes clock-wise and took about an hour to make a full rotation. 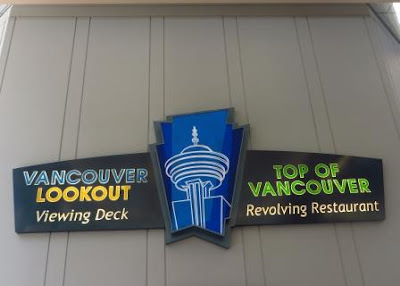 When it's not busy, you can apparently avoid the $17 viewing deck admission charge and go straight to the restaurant for the same view and have a meal, a drink or whatever. 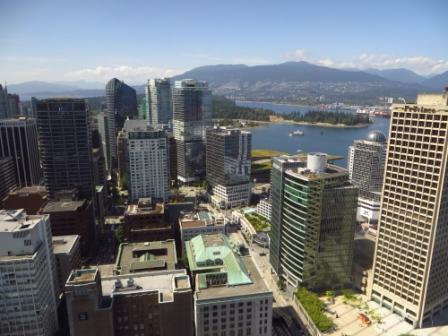 I think the Vancouver Lookout is worth checking out if you are visiting Vancouver.